canal with access to Moss Lake- view of Olsen Bayou . Great fishing area. Very nice oak trees . 56.5x185 tract in front is zoned R-1 and 140x300 tract in back ( on water) is zoned R-2. Had mobile home on property ( 1981 Salem - 14x65)but has no real value ( sold "as is"). Boat slip( usable) and bulkhead needs to be redone. 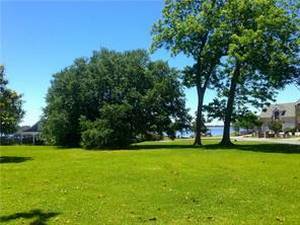 with canal access to Moss Lake, 2 lots with beautiful landscaping and very mature oak trees. Great kitchen with granite counters and all appliances remain. Open floor plan with split bedroom plan. Wood burning fireplace with built-ins in living room and kitchen. Bathrooms also have granite. Master bath has double vanities, separate shower and jetted tub. Nice size closets. Garage has heating and cooling window unit. Fabulous deck over looking pretty back yard and canal. Fenced yard. Home is in excellent condition with lots of updates. 1 year Home Warranty provided by seller. Seller is obtaining an new elevation certificate . water frontage on Prien Lake. See attached survey , restrictions and photos. 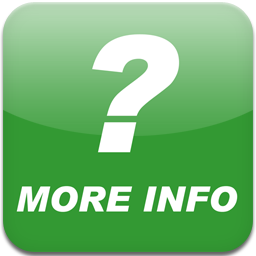 Lot size is irregular ( lot size is estimated- refer to survey) . 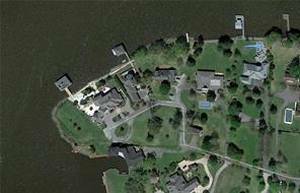 Lot on water in gated cul- de- sac subdivision. 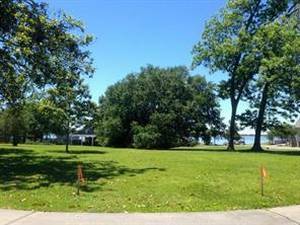 2 bath home on 2 lots, nice trees and mature palm trees, completely fenced, open concrete patio, double carport and extra concrete parking for boat/RV. Central air and heat, fourth bedroom, bath and inside utility room are on a slab. Formal living, den or formal dining, large country kitchen with lots of cabinets ( stove and dishwasher is included), original wood floors in den, living room and 3 bedrooms. Very large utility room inside 13 x 9 . 4th bedroom has window unit. Owner will finance with $20,000 down at 6% for 15 years on a bond for deed contract. No flood zone. IN LAKE CHARLES CITY LIMITS. LOT IS LOCATED ON A CUL -DE -SAC WITH A GATED ENTRY . SEE ATTACHED SURVEY, RESTRICTIONS AND PICTURES. LOT SIZE IS IRREGULAR- REFER TO SURVEY ( TOTAL SQUARE FEET IS ESTIMATED). 3 bedroom, 1.5 bath brick home with open floor plan, large breakfast bar, central air and heat, open concrete patio, utility is outside in carport. an office, large living area and nice sized kitchen, 6x10 utility not included in living sqaure feet.Seller is a licensed real esate broker in the State of Florida. Owner has allowance to put vinyl siding on back of home. 24 hours notice to show. with 3 bedrooms, 2 full baths & 2 half baths , attached 1209 square foot guest quarters with 2 bedrooms, 1.5 baths ( including kitchen, dining and living combination, utility and separate entrance, outside art studio and patio). Square feet living area including guest quarters is 3700 square feet m/l. Super nice landscaping, 3 car garage and huge enclosed patio and much more. Room sizes are estimated. No flood zone. 24 hour notice to show. been remodeled over the last few years ( central air and heat, hot water heater, counters, paint, flooring, siding,added carport and much more), Large corner wooded lot with new 8 privacy wood fence on 3 sides and 6 on the last side, covered patio, updated kitchen with lots of cabinets , den with gas fireplace, living room, formal dining or office, up-dated baths, single attached garage and single attached carport. NO FLOOD ZONE - X". Bank on coirner of Walker Road and Hwy 27 South. Great location. High traffic area. Zoned " Light Industrial" and Not in a flood zone ( X) according to cppj website. Legal Description is : Commencing 333.19 ft. North and 250 Feet West of SE Cornr SE SW 15.10.10, thence West 150 feet, South 259.16 feet to North R/W line of Walker Road, East along a curve and along said R/W line an arc length of 150 Feet North, 261.32 feet to point of beginning, less that portion for drainage ditch ( 30 feet) along N/S containing .90 acres m/l. high traffic area. Near Westlake Chemical and all industries. Zoned " Light Industrial". Building was completely rebuilt after Hurricane Rita. Reception area, lobby, conference room, training room, four 1/2 baths, kitchen, training room and 8+ offices. Two HVAC systems. Lots of parking and lrge back lot could be used for storage or warehouse space. Age is estimated.